The availability of new dental procedures has made it possible to correct dental problems quickly. In fact, you can now get new teeth in a day. However, you should understand that these procedures are not cheap, so it is always a good idea to be proactive and take steps to keep your teeth healthy. And learning when to replace your toothbrush will go a long way in improving your overall dental health. Experts are of the view that you should replace your toothbrush at least once in every three months. If you are using an electric toothbrush, be sure to change its head in three months. However, the important thing to understand is that how often you should change your toothbrush depends on many factors, including how often you use it. It is natural that you should be changing your brush earlier than three months if you are used to brushing after every meal. Therefore, it is important to consider your brushing habits and check the appearance of your brush. You have to understand that a brush is no longer as effective if the bristles have started bending. In case you brush your teeth twice a day, it is safe to change it after 3 months. However, if you brush once in the morning, you may be able to stretch it a bit and continue using your brush beyond that 3-month guideline. Another way to check when it is time to change your brush is to develop a habit of checking how clean your teeth feel after brushing. Simply run your tongue across the teeth to feel how clean they are. Be sure to do it every time you have finished brushing. If you no longer experience the same ‘slippery’ feeling after a few months, it usually means that you need to think of changing your toothbrush. Even when you think your brush can work beyond that 3-month guideline, there is nothing wrong in replacing it to be on the safer side. Of course, the new brush will clean your teeth better, but it will also ensure that you are not introducing new bacteria to your mouth. 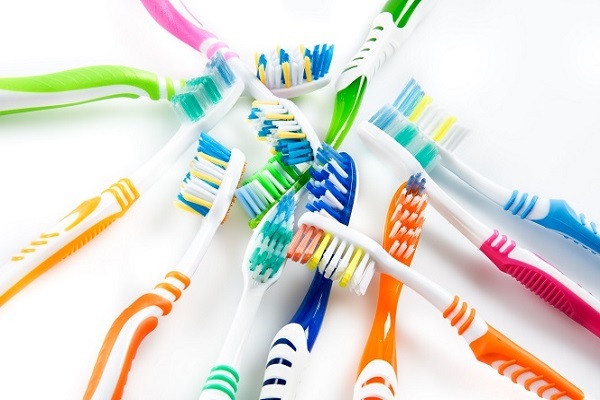 A study has found there may be more germs and bacteria on your toothbrush than you might think. Even if you clean it after every session, it may still have some germs buried deep into those bristles. Using your old brush may be the reason why you have to deal with viral infections like the flu and bacterial infections like strep more frequently. Interestingly, many people think that using a plastic brush cap can help protect the brush from bacteria and germs. It is not true though. Some studies have found that using those plastic brush caps can actually trigger the growth of opportunistic microorganisms. Therefore, it is better to let your brush stand up after use. So, be sure to pay attention to all these points and change your brush if you do not want to spend money on expensive dental procedures.